Biological molecules are themselves the premier, proven examples of the feasibility and utility of nanotechnologyin effect, "lessons from nature" informing the design of nanoscale machines. 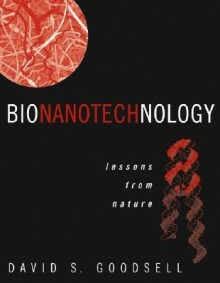 Bionanotechnology encompasses the study, creation, and illumination of the connections between structural molecular biology and molecular nanotechnology. The very first resource to address this discipline comprehensively and exclusively, Bionanotechnology: Lessons from Nature delivers an accessible overview that features a stunning set of original watercolor illustrations by the author.Bionanotechnology: Lessons from Nature shows both students and practitioners how the lessons that may be learned from biology can be applied to nanotechnology today. The first part of the book explores the properties of nanomachines that are available in cells. The second looks to the structure and function of natural nanomachines for guidance in building nanomachinery. The book then concludes with chapters on applications, surveying some of the exciting bionanotechnological tools and techniques that are currently in development, and speculating on those that may prove feasible in the not-too-distant future. Features of this one-of-a-kind reference include:High-quality illustrations produced by cutting-edge design programsDiscussions of basic structural, nanotechnological, and system engineering principlesNumerous real-world examples, such as applications in genetic engineeringUndergraduates, graduate students, practicing researchers, and policymakers will find David Goodsell’s Bionanotechnology an accessible, visually compelling introduction to this exciting field.